Home cinema Ramcharan to build mega studio? Ramcharan to build mega studio? The big celebrities in Telugu film industry have their own film studios starting from Ramanaidu to Superstar Krishna. It is known fact that Megastar Chiranjeevi dreamt of building a film studio but could not start it. Earlier, there were rumours that Chiranjeevi was planning to start a studion in Vizag. 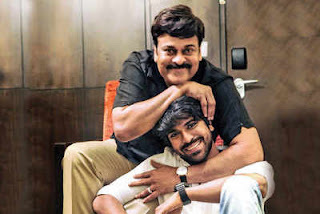 His son, Ramcharan at last plans to fulfill his dad's dream. He is planning to build a studion in their land at Kokapet area. This is surely a big news for mega family and their fans.